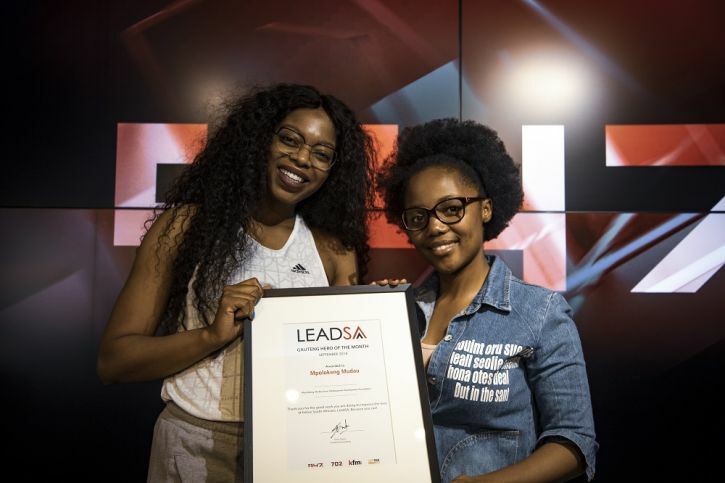 LeadSA recognised serial entrepreneur and Ntsikayezwe Development Foundation founder, Mpolokeng Mudau as the September hero. Mudau founded Ntsikayezwe Development Foundation and also operates a mobile library from the boot of her car. The projects are self-funded and cater to Eikenhof and Lion Park surrounds. Every week Mopolokeng works hand in hand with communities to empower children from under privileged homes and provides groceries and care. As a young girl, Mpolokeng empowered herself through reading and aims to impart the same spirit to her mentees. With both the books she collects and donates as well as the mobile library she operates from the boot of her car, she hopes to instill the spirit of reading across South Africa. Mpolokeng aims to help children imagine a life beyond their current situation, traveling through the world of literature one book at a time. Ntsikayezwe Foundation was founded in February 2018 after having taken over some of the initiatives from the Tshanda Tsha Lufuno Foundation. And its principles are to “Improve the quality of life of all citizens and free the potential of each person”. Listen to the to the full September hero interview here. You may get in contact with Mpokeng on the following: +27 64 535 3793 ntsikayezwe.dev@gmail.com Ntsikayezwe Development Foundation on Facebook. Copy supplied by Elizabeth Kgabane and minimally edited.